Her boyfriend was hesitant, and her mom didn’t want to end up as the dog’s de facto caregiver. It seemed everyone was surprised the day Devin O’Loughlin came home with a sad old dog — no one moreso than the twentysomething herself. Suddenly, she was responsible for another life, a thought that had her panicking as soon as she pulled out of the shelter parking lot. “As a young adult — a millennial — we can be a bit selfish at times, and I think part of the growing up process is growing out of that, and Fuzz helped me do that. He is my top priority now,” Devin explains. 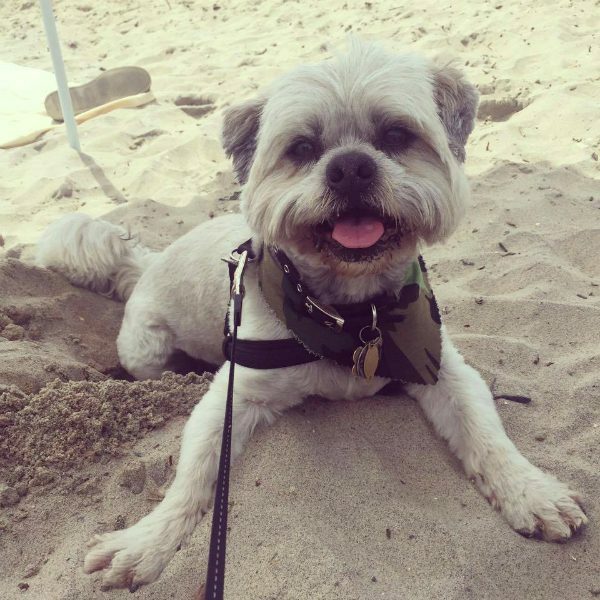 It’s been 14 months since Devin met Fuzz (full name George McFuzz), a now 8-year-old Shih Tzu–Pug mix, at Sammy’s Hope Animal Welfare & Adoption Center in in Sayreville, New Jersey. Although she’d been mulling over the idea of adopting a dog for several months, the timing never seemed right for such a major life change. Then, one August day, she just felt compelled to visit a Pit Bull puppy she’d been following through the shelter’s social media. “As I was walking in, that dog was walking out with his new family,” she recalls. A self-described planner and over-thinker, Devin had shocked herself with the impulsive decision to visit the Pit Bull, and what followed was even more out of character. “I was already there, so I figured I might as well go see what other dogs the shelter had,” says Devin, who was soon peering into the kennel of a dog who had little in common with the Pit Bull she’d come to see beyond their shared bad adoption odds. In the sunshine, Devin could see Fuzz had lots of little cuts all over his body, likely the result of a recent and hurried haircut. He was missing one of his front teeth and was quite frightened. Generous applications of snacks eventually convinced Fuzz that Devin wasn’t all that bad. As the little dog warmed up to her, Devin learned Fuzz was temporarily in the custody of Animal Rescue Force (which shares space with Sammy’s Hope) through a program that allows people to place unwanted pets in adoption centers on weekend days if they want to rehome the animal. If the pet doesn’t get adopted by the end of the day, the guardian has to come take the pet home, but can bring the animal back to the adoption center to try again the next open day. According to Devin, the 14 months since Fuzz’s adoption have been a period of rapid personal development. She and Fuzz were both pretty scared at first, but the bonds of friendship quickly replaced fear with joy. Although Fuzz recently required some pricey dental work, Devin has never regretted driving away from the shelter that day. 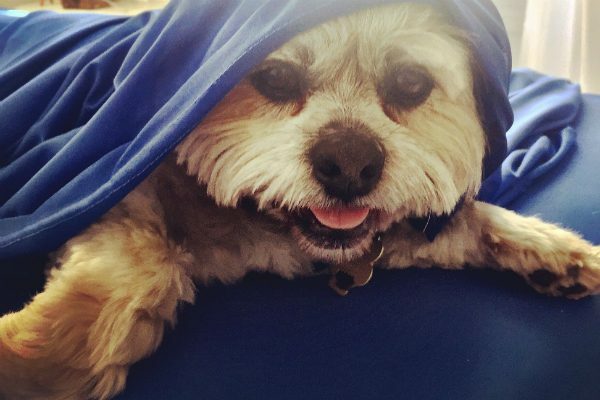 “Emotionally, financially, and just from a maturity standpoint, he’s really helped me grow,” she explains, adding that as long as a person has the basic stability and means to care for a dog, they can make adoption work. “There’s never going to be a 100 percent perfect time to do it, but if you have a little bit of a feeling in your heart — do it. It is a 1,000 percent worth it,” says Devin, who credits the Susie’s Senior Dogs Facebook page with priming her to connect with Fuzz. 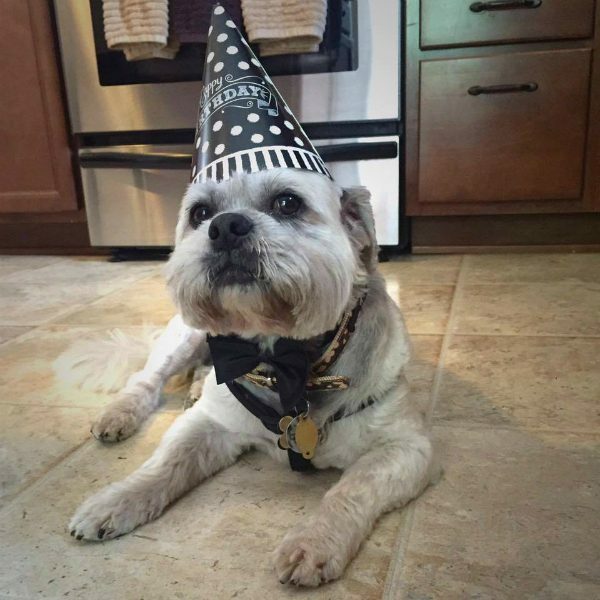 The post How Adopting a Senior Dog Helped a Millennial Grow Up appeared first on Dogster.